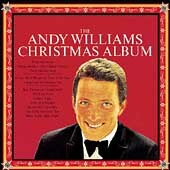 I was a seven year-old kid living on Globe Street in San Antonio, Texas in 1963 — the year that Andy Williams recorded a brand new Christmas song entitled, “It’s the Most Wonderful Time of the Year.” And indeed it was a wonderful time in our home. My parents made sure that Christmas was a magical and memorable time for me and my siblings. They bought our gifts the old-fashioned way — by paying cash for them and buying only what they could afford. Mom baked a lot of goodies, we made our own decorations, and we enjoyed the company of extended family. Life seemed so much simpler and less stressful in those days. And, if my parents were ever under any stress to provide for us at Christmas they certainly never showed it. For many people, however, Christmas is anything but a wonderful time. It is more of a stress-filled and dreaded time of the year. Some of this can blamed on matters outside of our control. But it’s likely that we orchestrate and generate more of our own stress than most of us would care to admit. With that in mind, here are six suggestions for reducing the stress of the season. S = Simplify | Christmas is a great time to reconnect with the reason for the season. Get off the holiday treadmill and look for ways to make Christmas about Jesus — after all, it’s His birthday. Consider limiting your involvement in outside events so that you can invest more time around your own hearth. Consider giving less gifts, smaller and less costly gifts, or investing what you would have spent on gifts in a worthy cause to bless people in need. T = Time | It’s easy to feel like a bird in a hurricane at Christmas. Consider your Christmas schedule and look for ways to reorder your priorities around the things that really matter, like family and those in need. We can reduce stress by learning to say “no.” Saying no can liberate us to say yes to quiet and fun moments with family and friends. Give yourself and your loved ones the gift of your time and presence this Christmas. R = Realistic | Be realistic about what you can and cannot do in terms of time and money. You don’t have to attend every event or party. And you should not spend beyond your means. Determine to spend less money on yourself so that you can build a reserve to help those in need. Spend meaningful time with those you love and with those who are lonely. Ask God to help you connect with the least of these in your community. E = Envision | Look beyond the season when making purchases. It’s far too easy to allow our emotions to drive our spending. When that happens we often end up with debt that will have to be serviced for months or years to come. Taking the long look may help you to keep the plastic in your wallet and consider alternative ways to bless others. S = Serve | We can relieve lots of pressure if we’ll remember that Christmas is more about our presence than our presents. So, consider reducing stress by giving a gift of your talents and yourself. Bake cookies, rake leaves, shovel snow (except in Houston), volunteer at a shelter, or do other things that will bless others but won’t get you in financial debt. In lieu of gifts this Christmas, my wife and I will once again give our kids a designated amount of money to invest in helping others. These are just a few of many suggestions for reducing the stress of the season. Christmas can be the most wonderful time of the year if we will make it about Jesus — God’s “inexpressible gift” (2 Cor. 9:15) — and if we will reorder our priorities to do the things that honor Him. With Christmas only a few short weeks away, start now to consider ways that you can reduce the stress of the season so that you can celebrate Jesus instead.